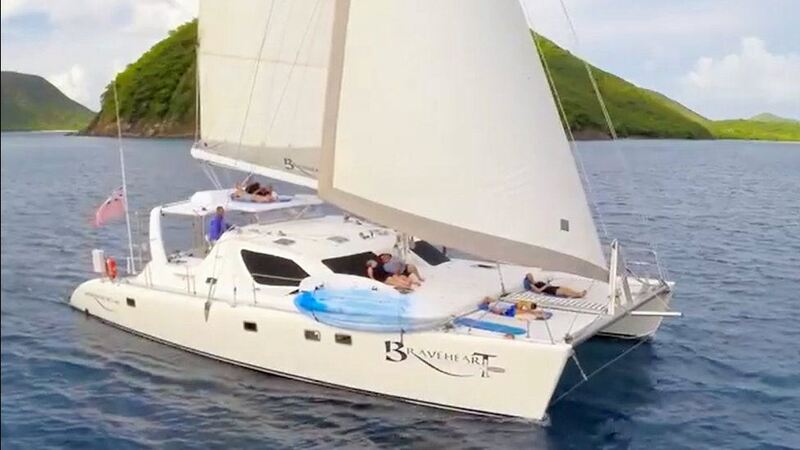 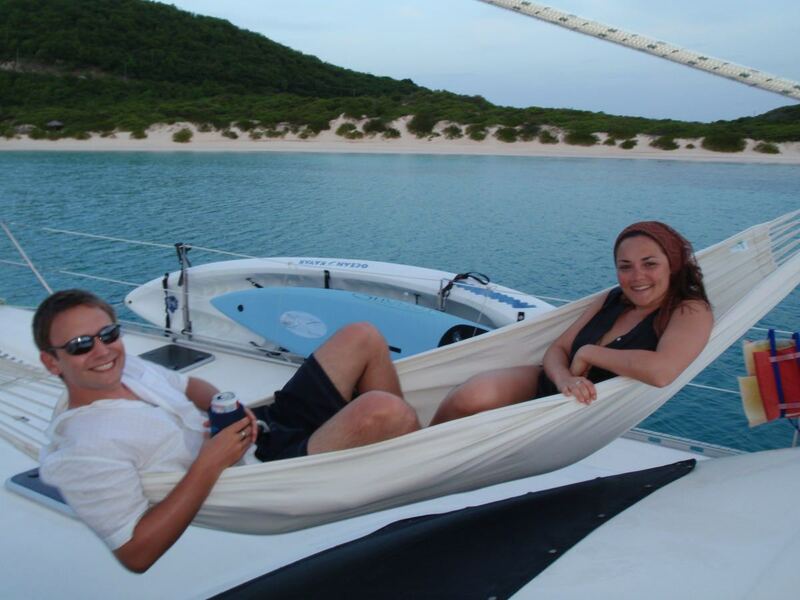 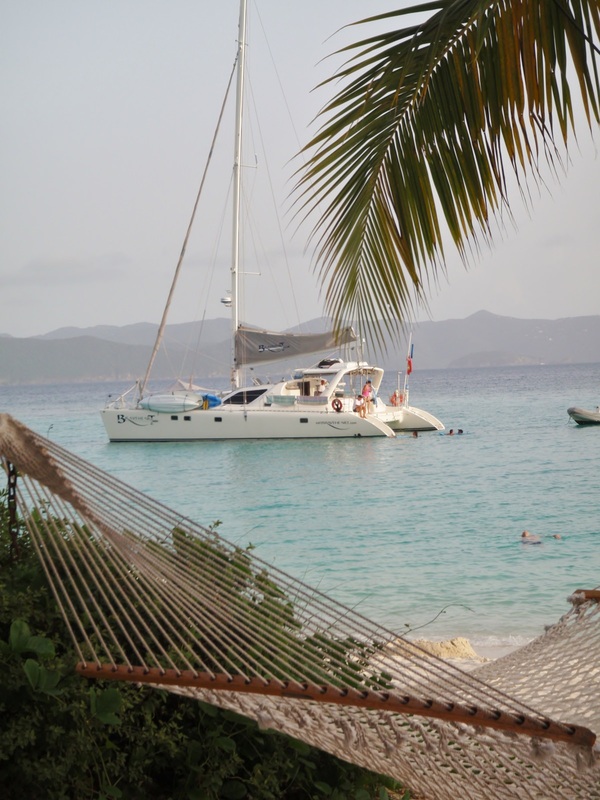 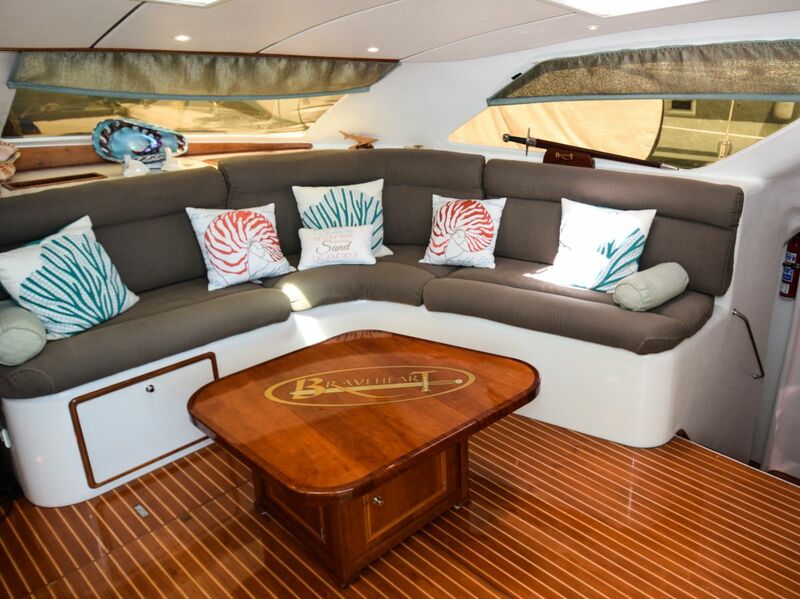 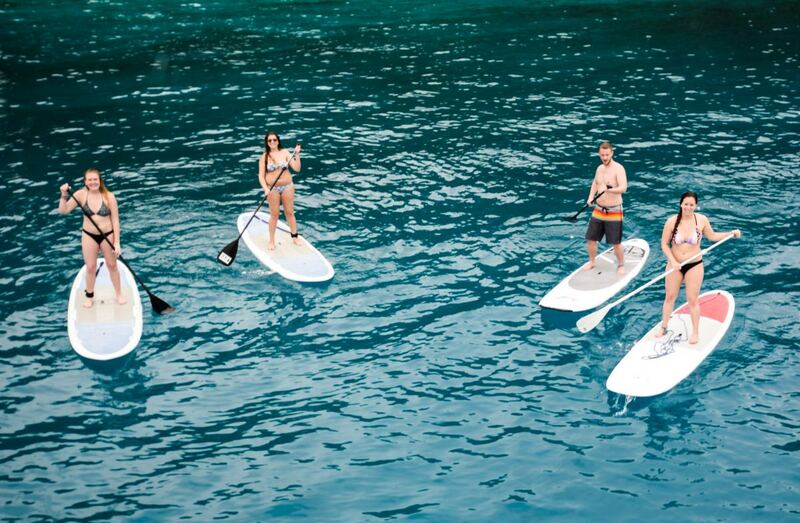 Explore the tropical wonders of the virgin islands aboard the 58ft catamaran Braveheart, an all-inclusive, luxuriously appointed, well equipped,modern live aboard dive boat. 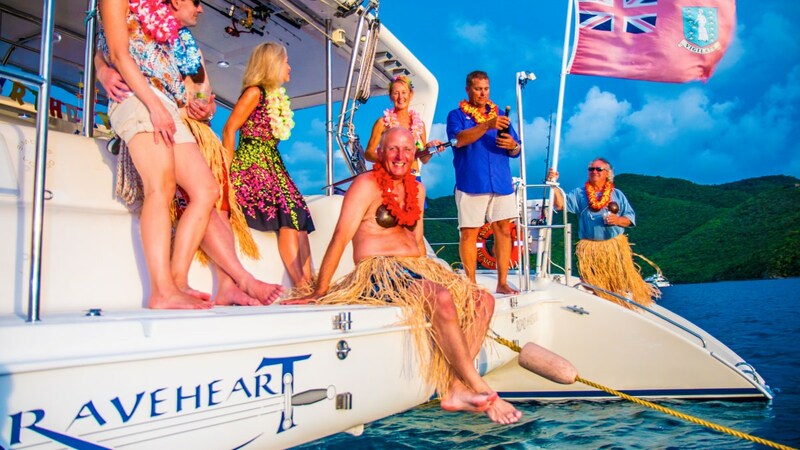 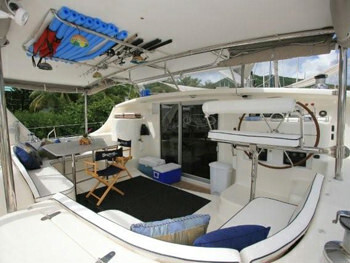 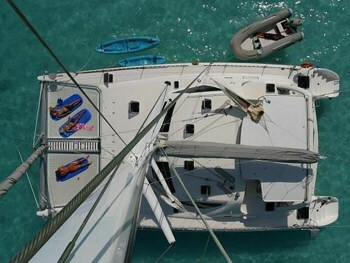 We accommodate 5 to 9 guests infully air conditioned comfort.The chef tailors the gourmet menu to your personal choices of cuisine.Relax whilst sippinga Caribbean cocktail in an idyllic anchorage and enjoy the sunset.Learn to scuba, windsurf, wakeboard, waterski, kayak, or fish, right from the boat. 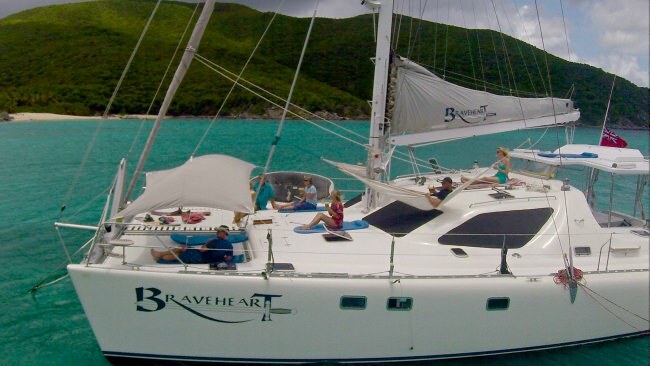 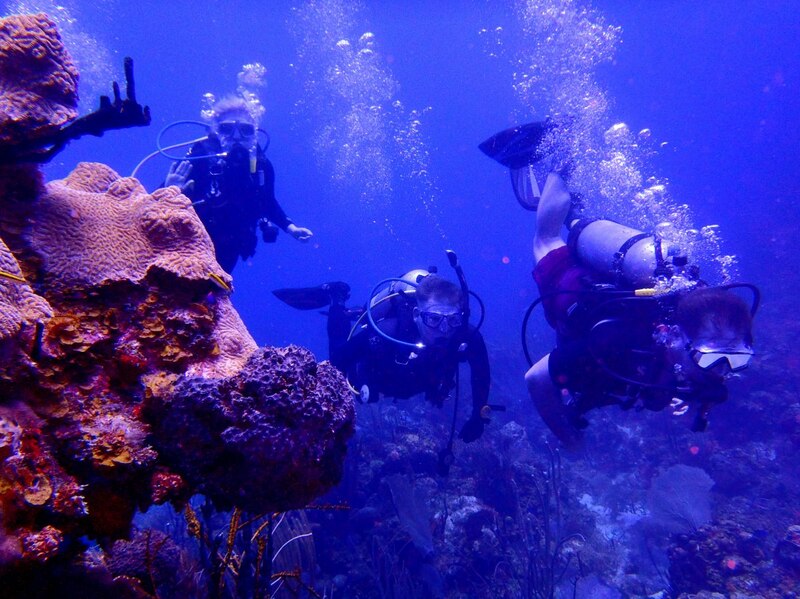 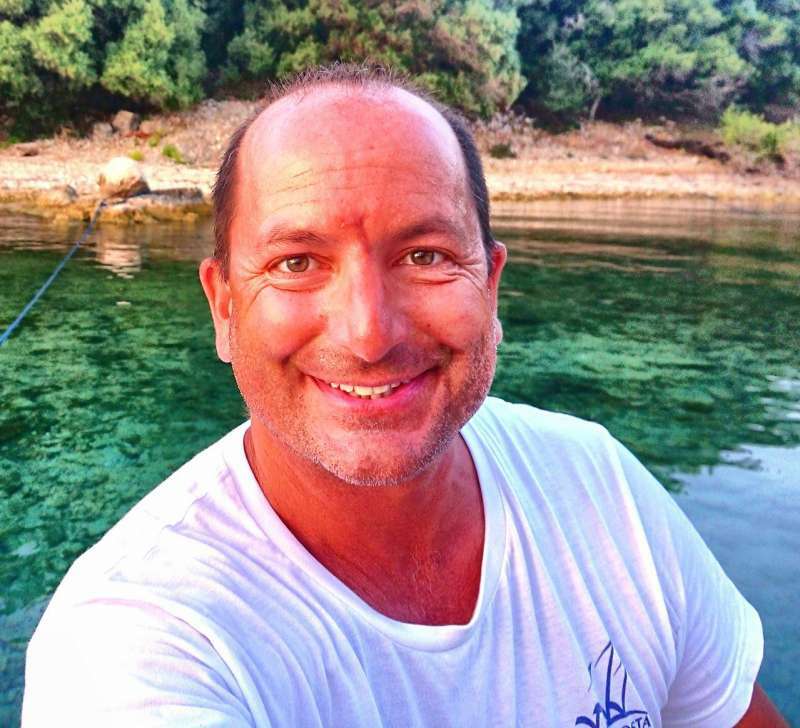 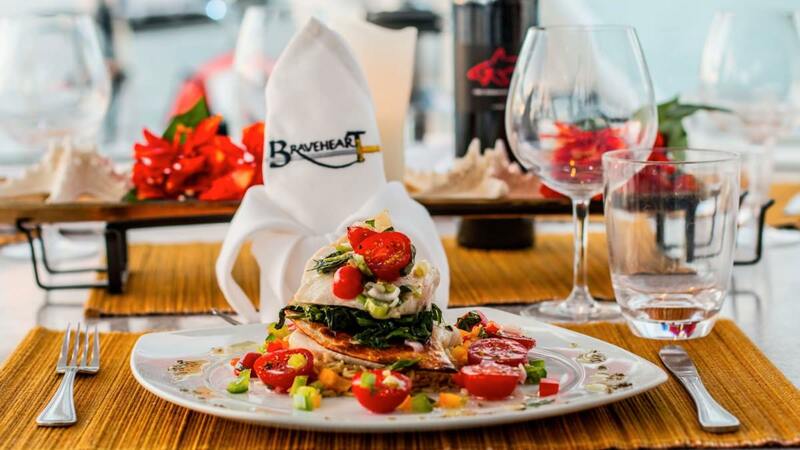 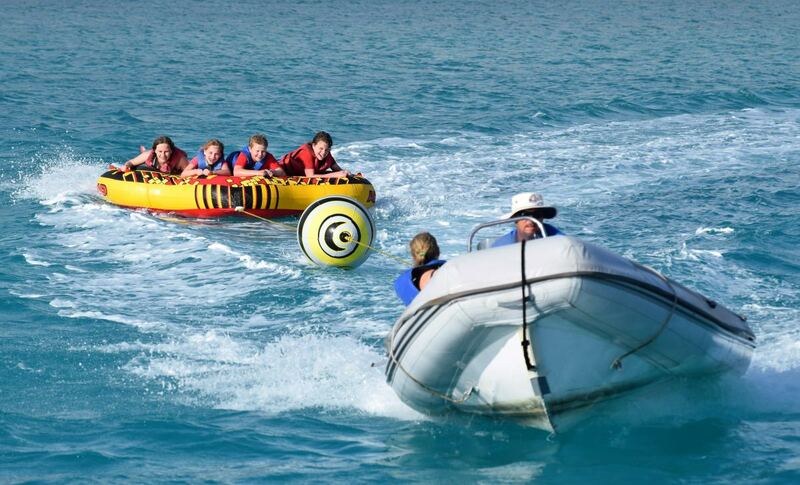 Braveheart has all of the modern conveniences, such as scuba compressors, water maker, ice machines, wifi, and en-suite a/c, to be self sufficient and allow us to cruise without hampering your vacation time. 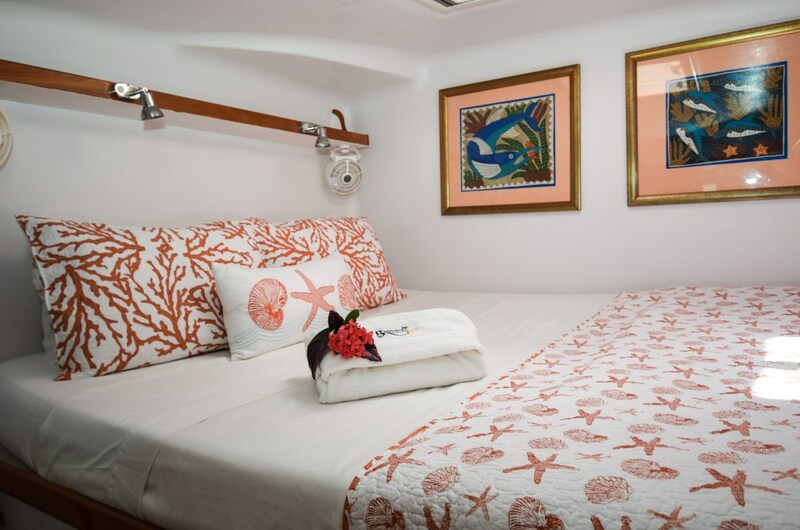 The four private staterooms, each with en-suite dry head, electric toilet, and separate shower, and in room entertainment systems, accommodate up to eight guests. 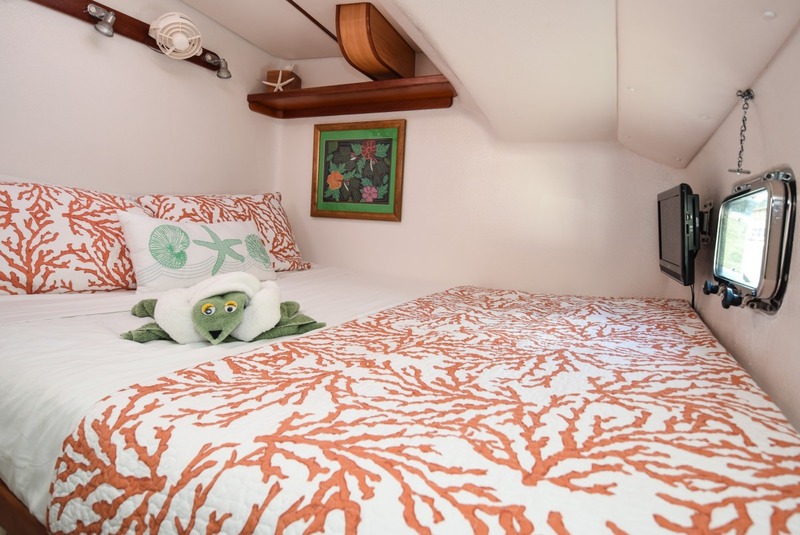 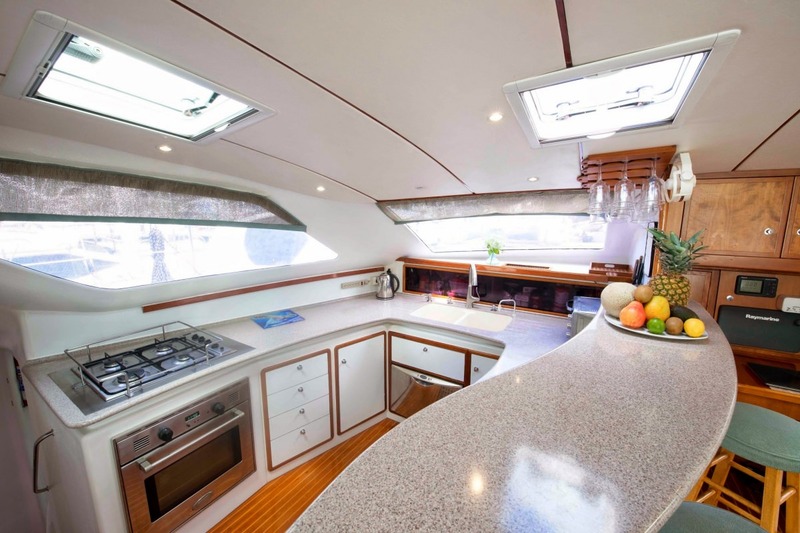 There is a single bunk for the ninth guest on the port side amidships.The 4 staterooms and single bunk make Braveheart perfect for 4 couples or 2 families with children to enjoy in spacious comfort. 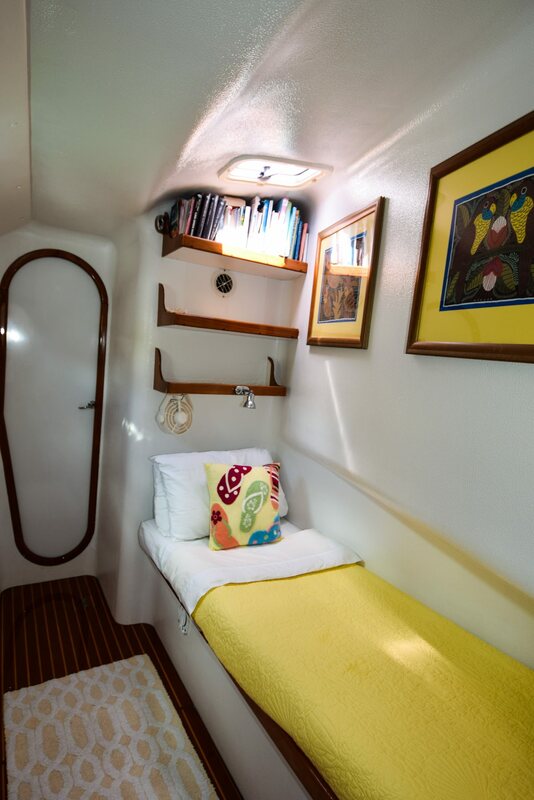 Crew quarters are to starboard midships with their own separate head & shower and2 forward bunks with a separate deck entrance. 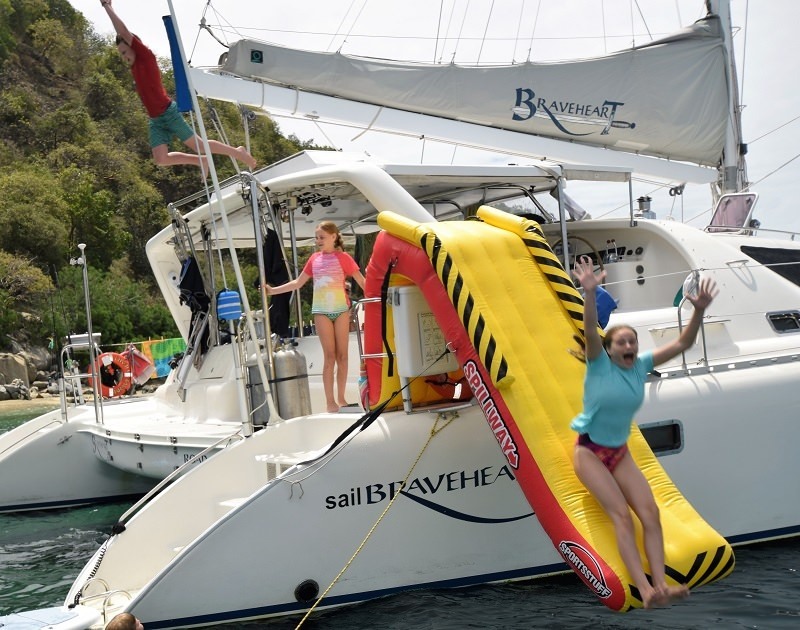 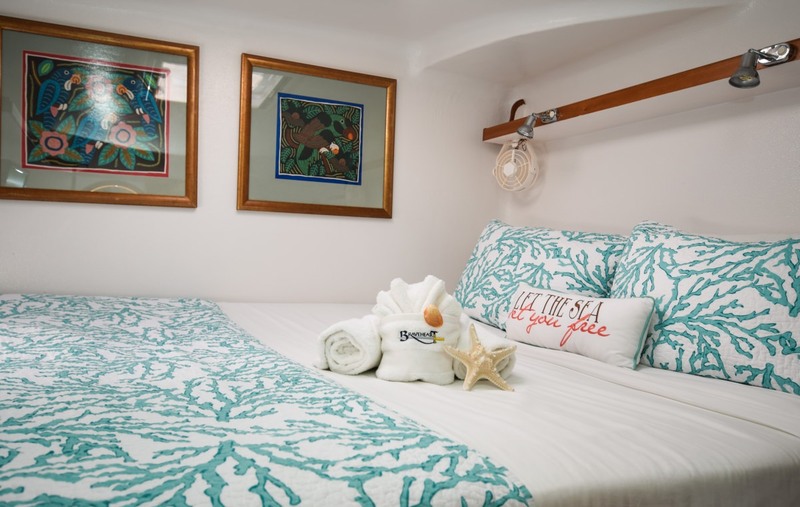 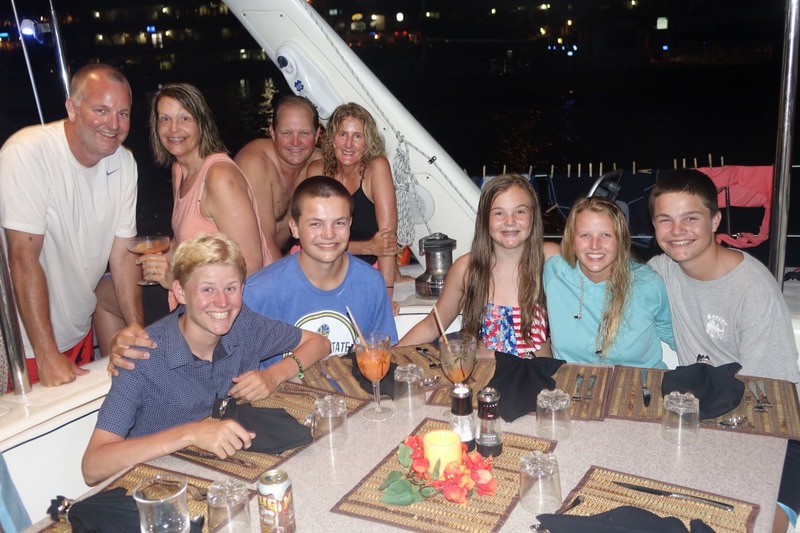 There is an additional hot and cold water transom shower on the aft deck.Relax on the trampoline gazing at the stars and enjoy the vacation of a lifetime.